At the request of Sonoma County Animal Services, the ASPCA has been on the ground helping the shelter to care for hundreds of animals impacted by the wildfires that have devastated Northern California. As part of that effort, we are assisting with assessments, coordinating resources and logistics, and have mobilized our disaster response team to conduct welfare checks for displaced animals. 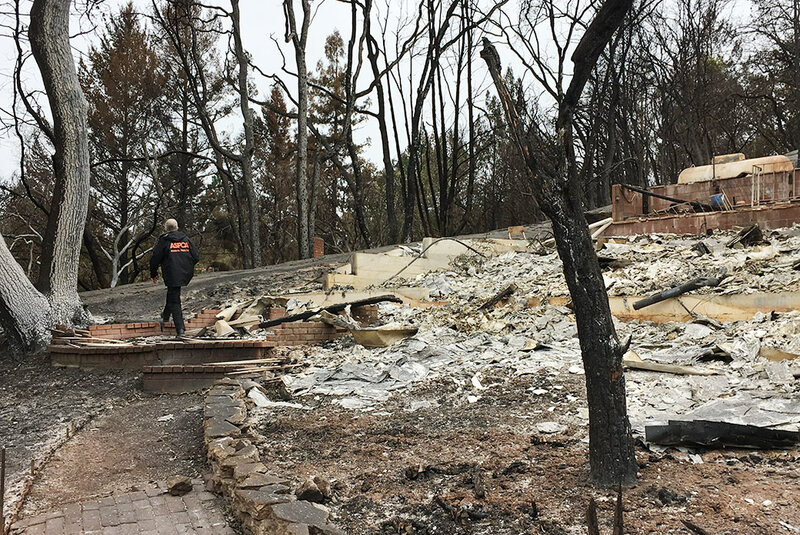 The ASPCA also sent critical pet supplies to Sonoma and Mendocino counties to help shelter and care for animals affected by the catastrophic fires. In addition, we’re collaborating with Alaska Airlines to help transport dozens of homeless animals out of impacted communities. Yesterday, nearly 20 homeless shelter cats and dogs from the Humane Society of North Bay were relocated to the Kitsap Humane Society in Silverdale, Washington, and the Seattle Area Feline Rescue in Seattle, where they will be made available for adoption. This week, the ASPCA plans to relocate additional animals to the Cat Adoption Team in Sherwood, Oregon, the Humane Society of Southwest Washington in Vancouver, Washington, and the Progressive Animal Welfare Society in Lynwood, Washington. By relocating homeless animals out of affected areas, shelters in or near these communities will have room to take in displaced animals or provide temporary sheltering for owned pets. Sonoma County Animal Services will continue to provide resources for displaced animals after the ASPCA concludes our response efforts on the ground. For more information on resources available for Sonoma County pet owners, visit www.theanimalshelter.org. The ASPCA deploys our Field Investigations & Response team nationwide to assist in relocation, search-and-rescue, sheltering, and reunification efforts during disaster situations. Most recently, we assisted more than 20,000 animals in communities impacted by Hurricanes Harvey, Irma and Maria, and we continue to provide emergency sheltering for animals displaced by Hurricane Maria in St. Croix. Our heartfelt thanks goes out to our supporters and partners who have made these life-saving efforts possible.